ideal for learning the skills of water polo.Ball not included. 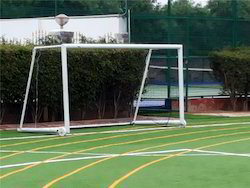 - Soccer goal post are manufactured as per European standards powder coated finished. Made with High density Plastic Poles ; Net with Sleeve already on . Quick assembly . Available in any size - 4' , 5' , 6' , 8'. - Any Size Goal with removable Sharp Shooter on. 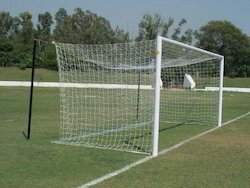 We are leading Manfacturer and Suppliers of Football & Handball Posts.